Monday is one of the calmer days in this household. Things settle down and get back to "normal." There's the big build up to the weekend, and then suddenly it's all over. But this is what it looks like here in Albuquerque as fall begins to show. Mostly green with a litter of cottonwood leaves starting to happen. That is chamisa turning to seed and looking a bit scruffy this time of year. It rained overnight leaving things fresh and a few puddles in the road. The desert willow still green but minus the pale pink blossoms that stay all summer. The ivy is just barely turning a few leaves to red before it abandons them altogether. And it has finally turned coolish, so Autumn has finally made a believer out of me. I want to show you this cover small so that we aren't jumping the gun too much here. But I want you to know what to look for! This edition passed the page flip test and came home with me this weekend. There is a gorgeous island of pages in the middle from House Of Harvest that gets me right where I live these days. Here's the link to their Instagram. I am showing less than half the images, and all askew so that no one will pin them, but they are a sample of an earthy simple style with great vintage ideas that I am loving to look at. You might enjoy a whole look at the issue yourself. It works for me for fall almost as much as for December! The other fun thing for me is this transfer ware find posted on someone's Instagram. These are from Pier One. If you have trouble finding vintage brown transfer ware, you can just order these online! I was lucky to get them at my local store. They are smallish dinner size plates with no other pieces to match that I could see. I don't put my vintage plates through too much because I take extra care with them, but I'm going to enjoy these without fuss all season long. All the images just make me cozy and happy! And I love all the details. It's all fuzzy and overcast, but some Mondays are just like that! I hope it's the start of a great week for you though! Fall is always the beginning of linen season to me as the world turns inward. 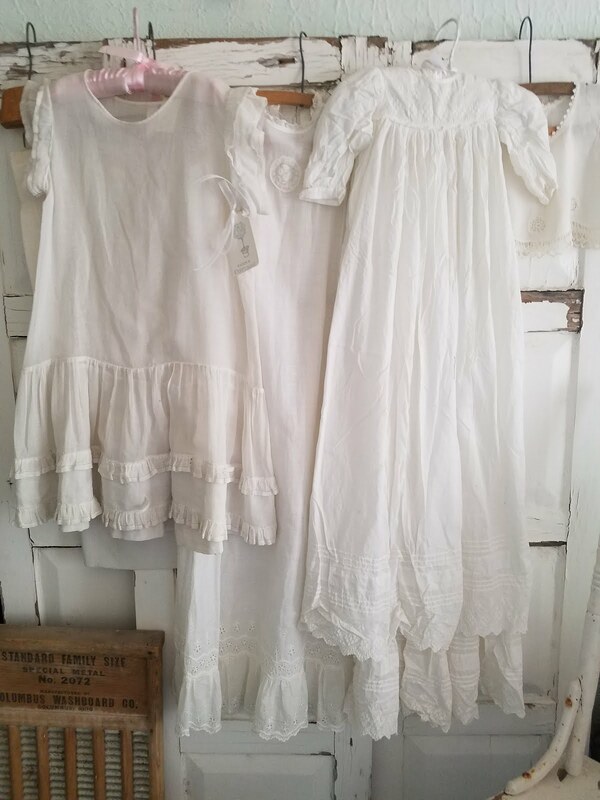 Summer is great for getting to markets and making fabulous finds, as I hope to do any time of year, but working with linens is another story. Nothing like a crisp day to cozy up and get in a little linen therapy at the ironing board! It's been a long stretch since we had a good dose of linen love here on the blog, so I am including a few links that you vintage linen lovers in the audience will appreciate too. One old post you might enjoy perusing again is Ironing Linen~Befores and Afters here. But I have recently found one of the most remarkable blogs on Instagram that you may already know about by Yuka, In My Room. I promise you, if you don't already know this page you are in for a real treat! The vignettes of linens and lace are soulful and delicate and dreamy. I just can't get enough! I would show you a sample, but I don't want anyone pinning her wonderful work from here. Check it out at this link. Finally, Back in the Linen Nursery, here, might give you another good session of linen love if you are needing any right now. Sometimes when I iron, I leave my work out on display for a while just to appreciate the beauty as I pass through doing tasks throughout the day. It's a little like finding a new owner for your old home, or a pet you have to give up. You want to find someone really worthy! But seriously, not everyone appreciates the value of beautiful old hand work. It is my personal garden of delights. I hope you are finding daily pleasures of your own to feed your soul this week. Carry on. . . . Happy October everyone! It's been such a long strange year, and here we are near the end of it already. My first blog comment of the month was strange too. It appeared today on a post I wrote in December of 2011 (that's seven years ago folks) about finding a sugar cookie recipe from a long lost cook book we had when I was growing up. The post is called Yummy Soft Sugar Cookies and is found here. On a different note, it's Hot Air Balloon Fiesta time in Albuquerque! Still gorgeous days of early fall. There is only a hint of change in the foliage, but a few leaves are beginning to litter the expansive green of the lawn. We will get rain in a day or so, but if not, at some point soon we will find ourselves on some very cool and darkish day when a storm blows in and pelts down a swirl of colored leaves to the ground pronouncing the first real day of autumn. There are not many such days here, and even so you might miss the moment if you are not situated at the best view when it occurs. So it is quite memorable to me. I can see it very clearly in my mind. But you'll just have to take my word for it. Thank you Sharon, Naomi, Rebecca, and others for leaving word!